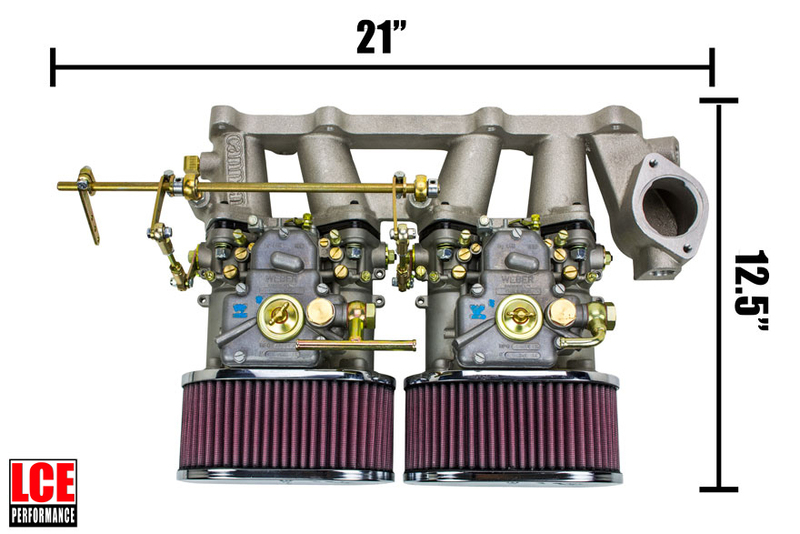 LC Engineering is known for offering the most powerful and proven Toyota Carburetor kits available. Our dedication to performance has set a standard no one can match! Extensive road and dyno testing has allowed us to produce exceptional kits that offer a wide range of performance options. When you really want to make that 22R bark, you need sidedrafts!! LC Engineering has done all the assembly for you. 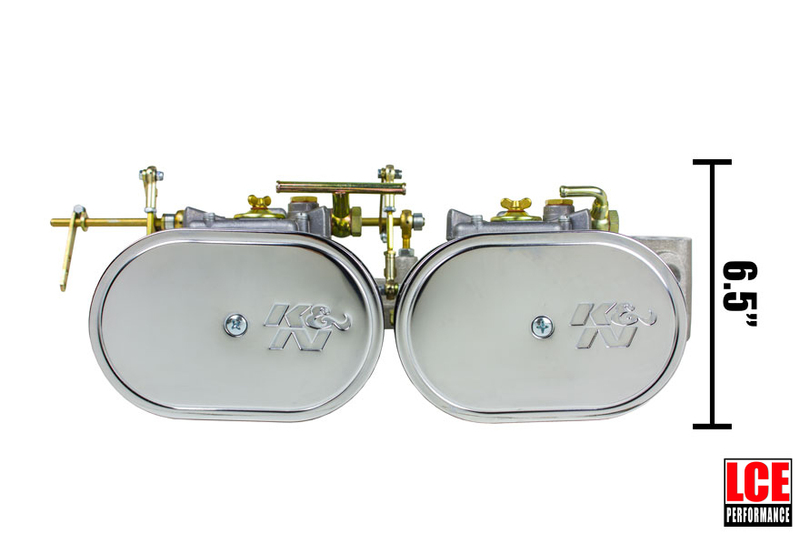 These kits include 2 sidedraft carbs, intake manifold, air horns, air filters and linkage kit. LCE then completely assembles the kit so all you have to do is install and tune.Pro Sidedraft Carb Kits are for more radically modified engines. To aid in fitment, the distance from head surface to top of air cleaner on this setup is 12.5". Please make sure you have adequate clearance in your engine compartment. Check out www.LCEngineering.comfor New Products, Tech Articles,Specials & Monthly Newsletters!